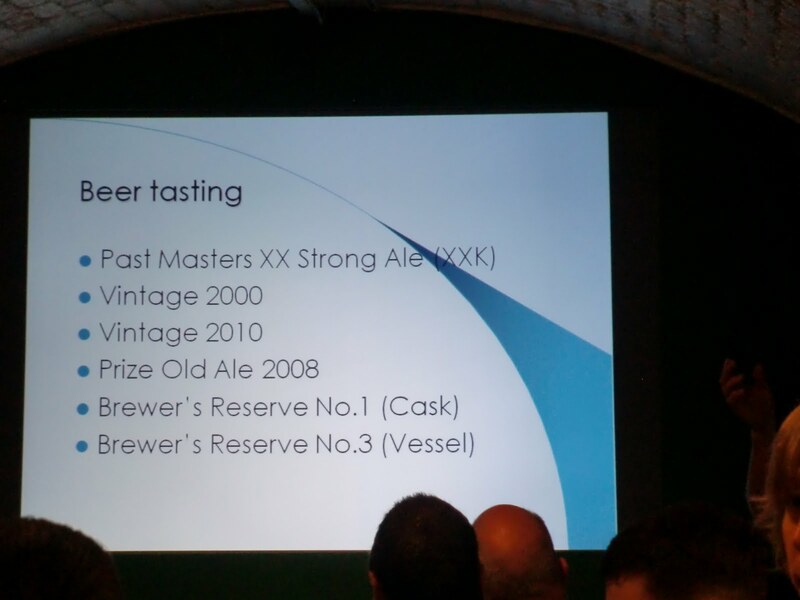 Last weekend I attended the inaugural European Beer Bloggers Conference and what a weekend it was. I was left exhausted but inspired and enthused. 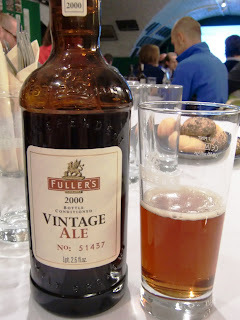 One of the highlights of this weekend for me was always going to be the visit to Fuller's brewery in Chiswick. 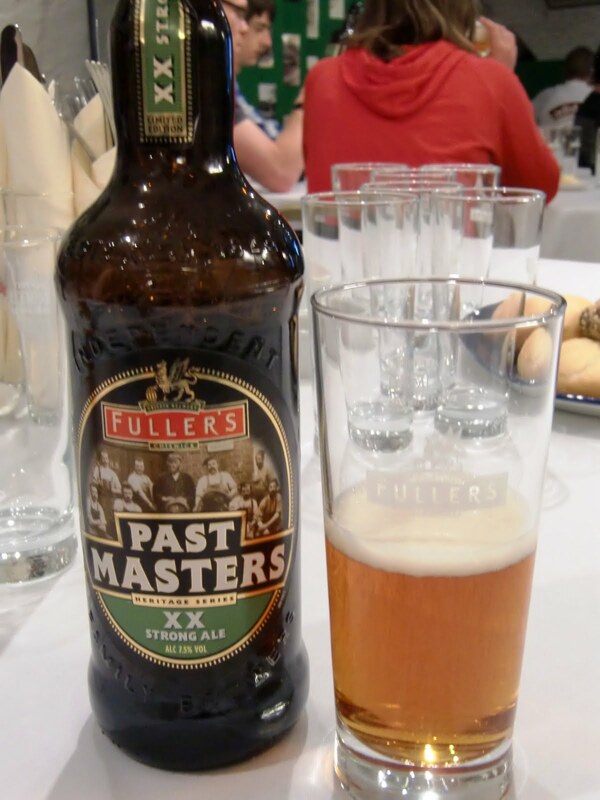 I already admire Fuller’s for maintaining quality in their core range of flagship beers while at the same time keeping us beer geeks excited with the Past Masters, Vintage and Brewer’s Reserve ranges. 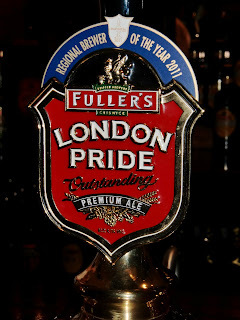 In fact it was in the past year that their new IPA, Bengal Lancer, reconfirmed my long-standing friendship with Fullers. It’s now a staple purchase which often sneaks its way into my grocery basket. 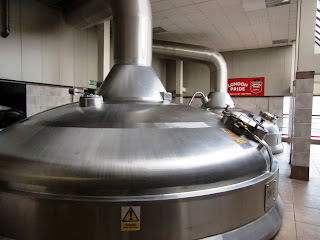 So it was with some excitement that we approached the impressive Griffin Brewery in Chiswick. We were greeted by the Head Brewer, John Keeling, with a welcoming talk. 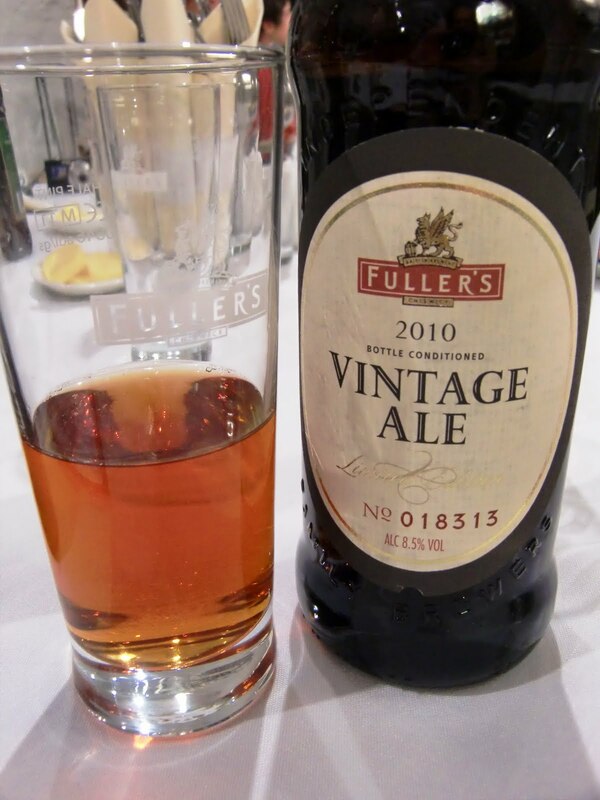 It was an interesting introduction to Fuller's which impressed with the dedication to innovate and and stay relevant.To highlight this point he mentioned Fuller's collaboration with Marble brewery from Manchester, a beer I am itching to taste. 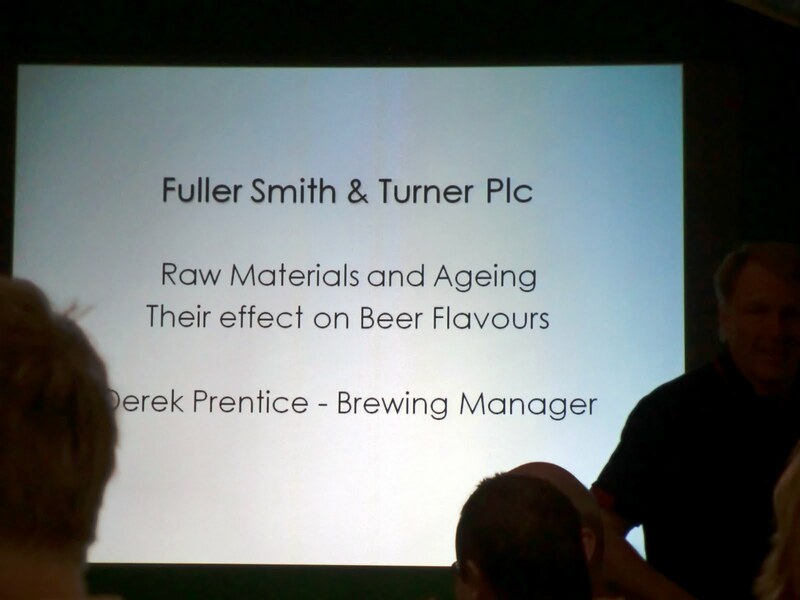 He was stopped by Derek Prentice, Fuller's brewing manager, to avoid overlap between their two talks. But it wasn't before John mentioned the cask of Brewers Reserve No.1 which we had all clocked on our way in. 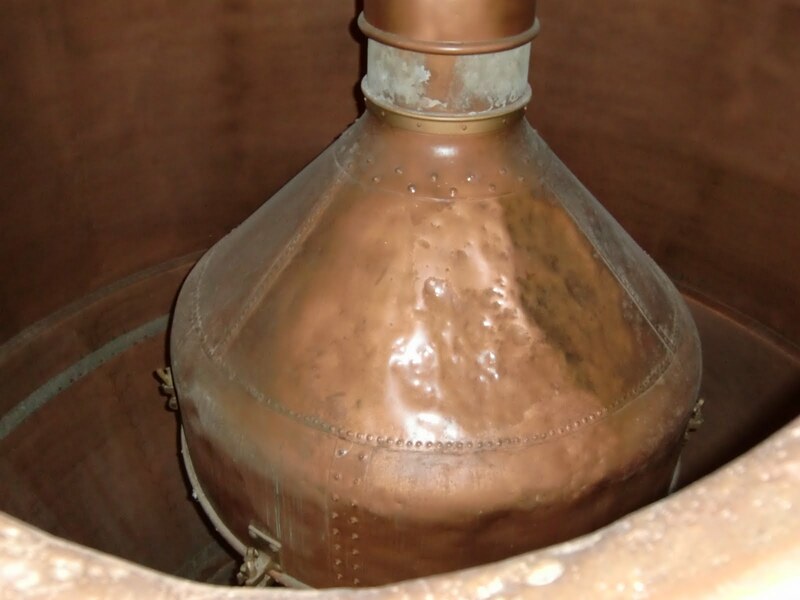 It seemed my hopes of a special tasting were with good founding and I knew we were in for a treat that afternoon. 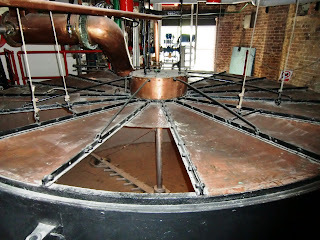 A tour of the brewery followed which is a fascinating mix of old and new. 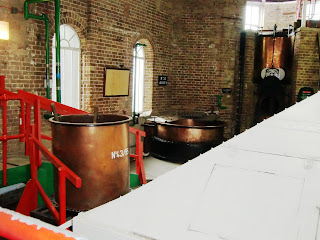 Some beautiful original mash tuns, coppers and fermenters juxtaposed with shiny stainless vessels the size of houses. 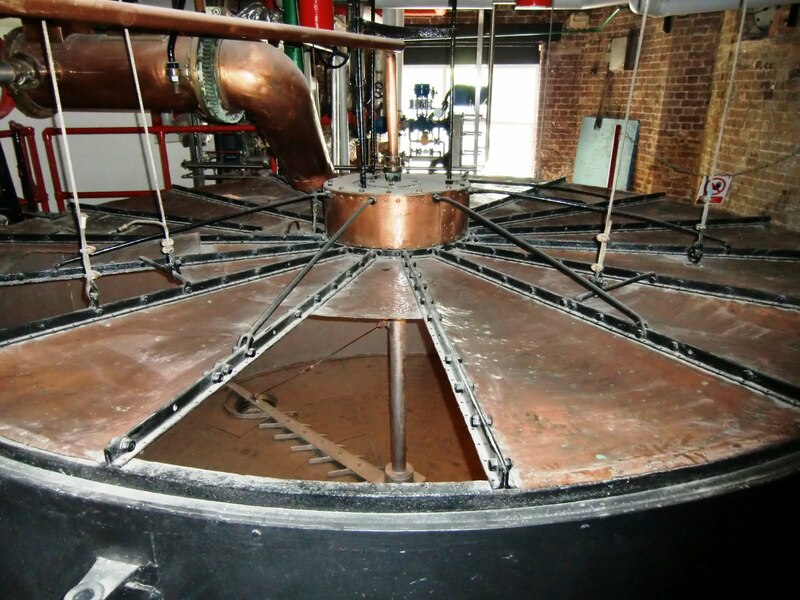 I would advise anyone who has the opportunity to visit this historic brewery, the tour is very interesting. After the tour we made our way back to the Hock Cellar where laid on for us was the meal of the conference. Not only was the food outstanding but the beers that were poured for us were of exceptional quality. Derek Prentice gave a presentation on the ageing effect on beer while we tasted the following beers. 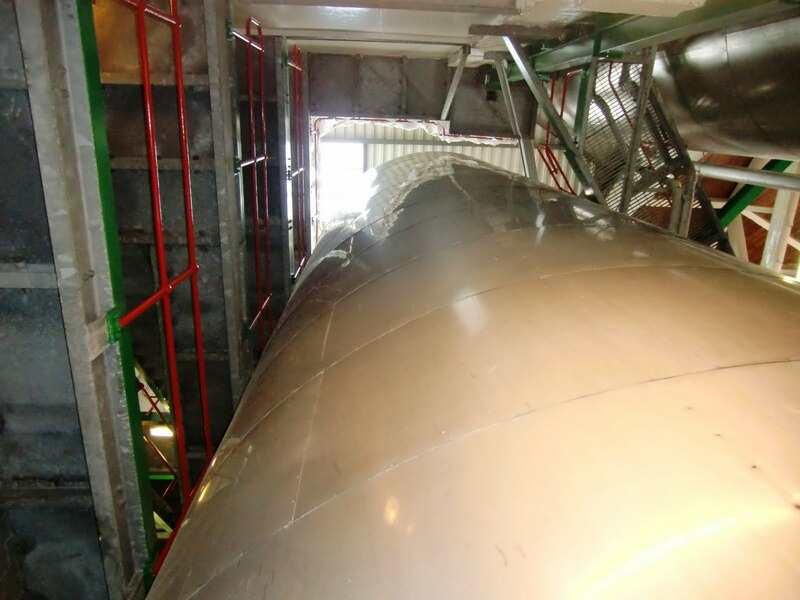 The two brewers reserves were another kettle of fish. 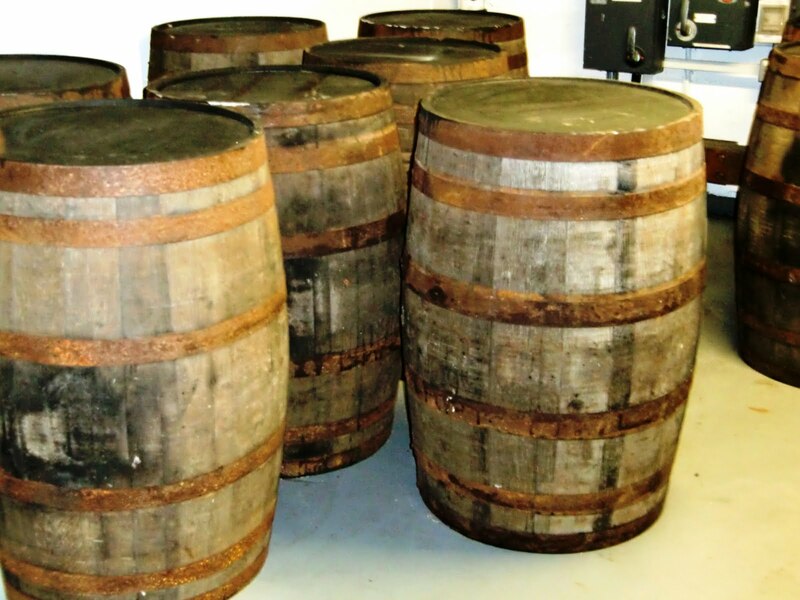 The ageing in cask had given them some sourness but also an incredible depth. I wish I could taste these again on their own, I didn't feel like I appreciated them fully after all the other beers we tasted that day. 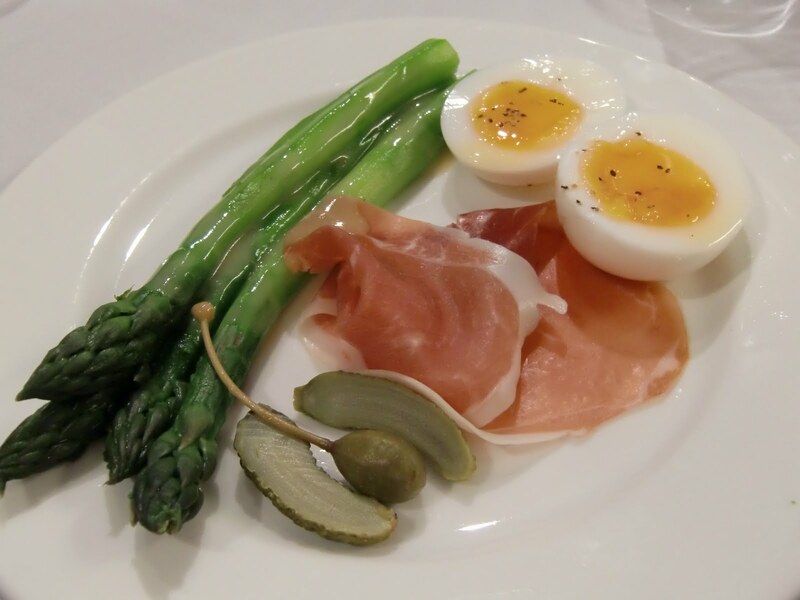 Next up was the full English roast experience. 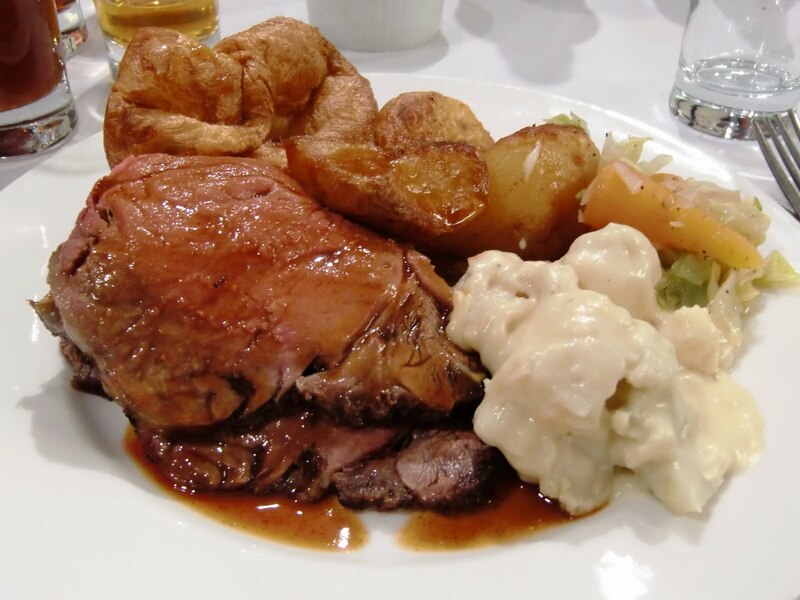 Roast rib of beef with yorkshires, roast spuds and cauliflower cheese. The beef was roasted in a combination oven (I think) to medium rare it was beautifully tender with a rich seam of fat running through it. one of the best Sunday lunches I've ever had. 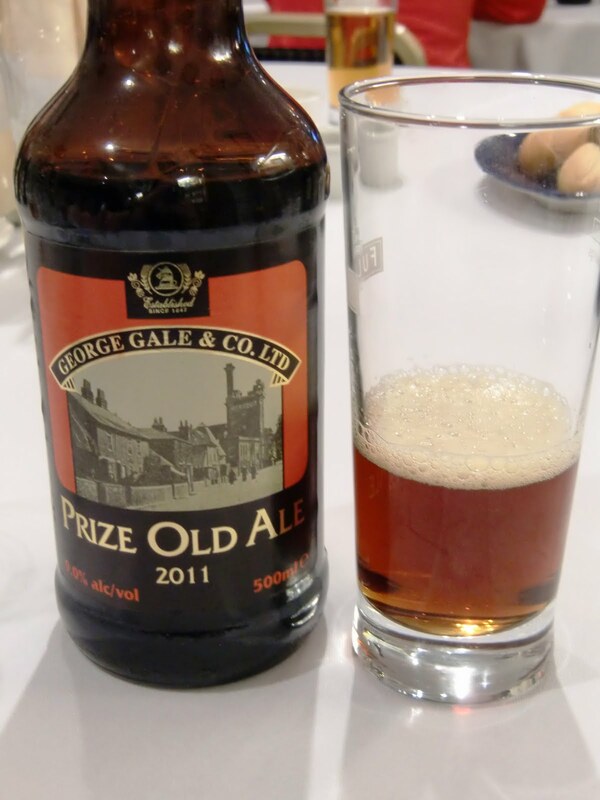 The advice from Derek was to drink it with the Brewers reserve but I think any of the beers from the presentation would have gone well with the beef. 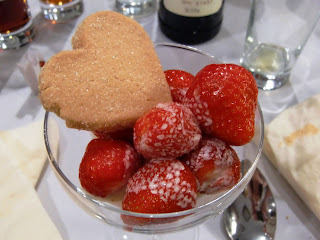 Pudding was strawberries and cream with some rich crumbly shortbread. I'd love the recipe for that shortbread, it was a winner. 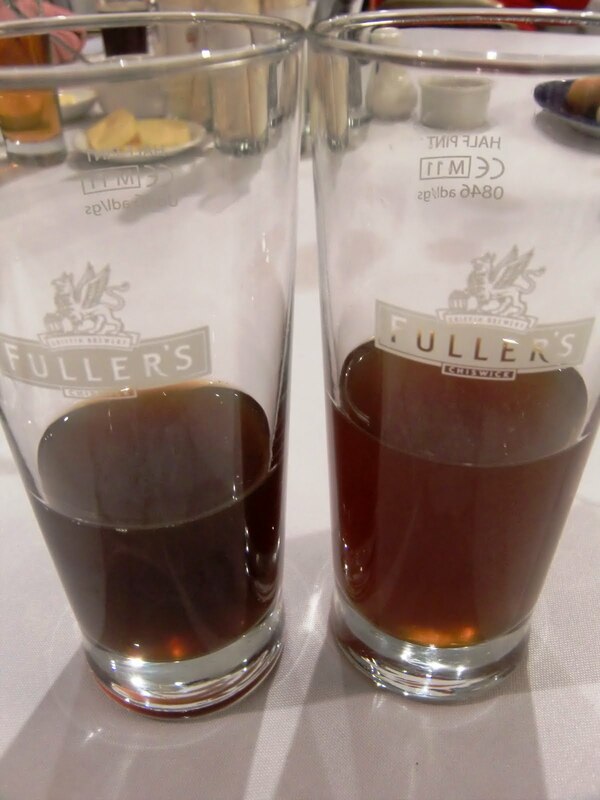 I'd like to take this opportunity to thank Fuller's and the Beer Bloggers conference organisers for this afternoon of beery fun. 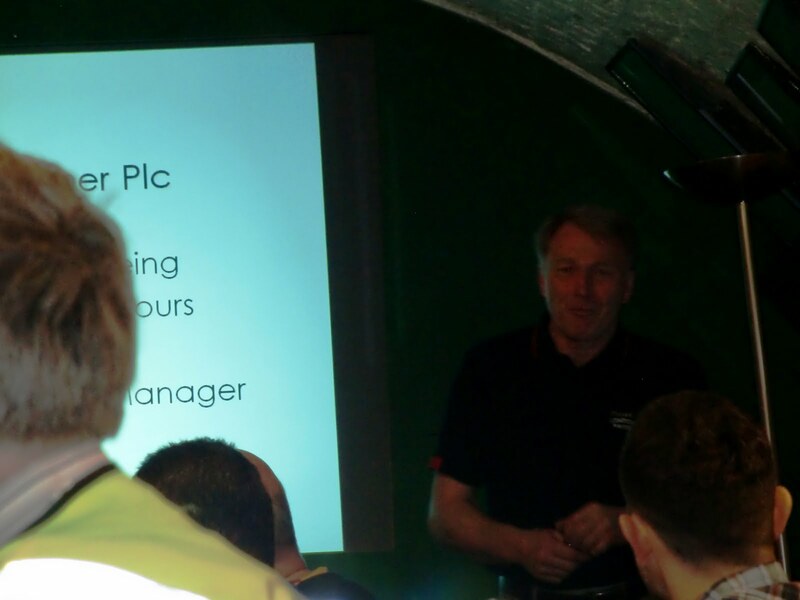 It was a truly educational day and I think was worth the entry fee for the conference on it's own. We were also given a goody bag of the beers we had drunk to take home with us. I tweeted the following towards the end of the visit. A most interesting read Sam. It was a great day at Fuller's. The tasting was fantastic, the talk and tour were interesting and fun, the roast beef was sensational! 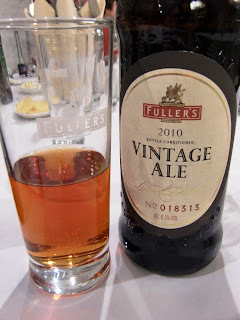 I like Fuller's a lot - they are an important brewery in that they brew a consistently excellent permanent range (which gets in front of a lot of people given their supermarket sales) while also experimenting with different beers which can appeal to a wider, geekier group. And the collaboration with Marble is definitely something to look forward to! It really was a great day and finished the conference very nicely. 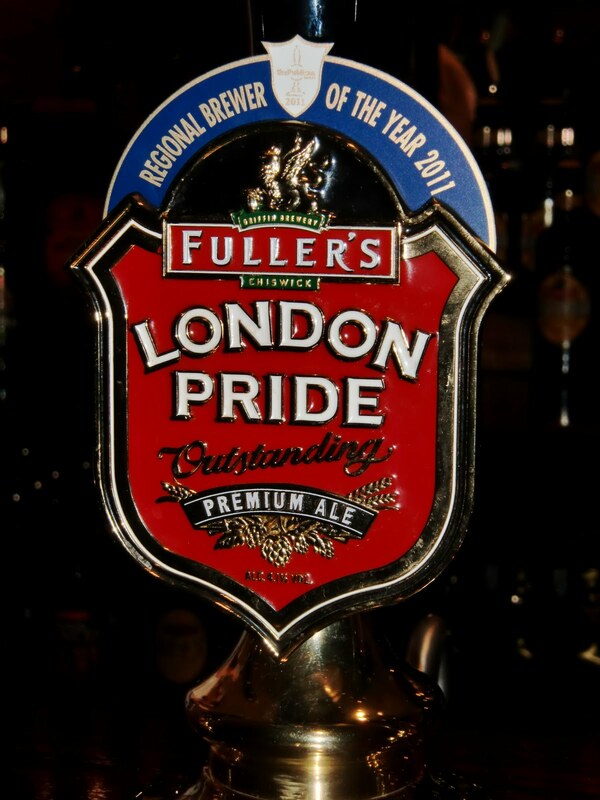 Glad you enjoyed Fullers! 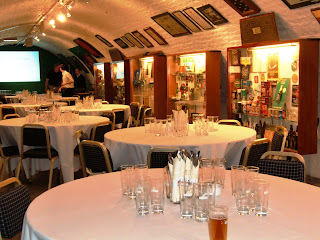 For what little part we did, on behalf of Mark and the Beer Bloggers Conference team, you are welcome!